A game about street racing. 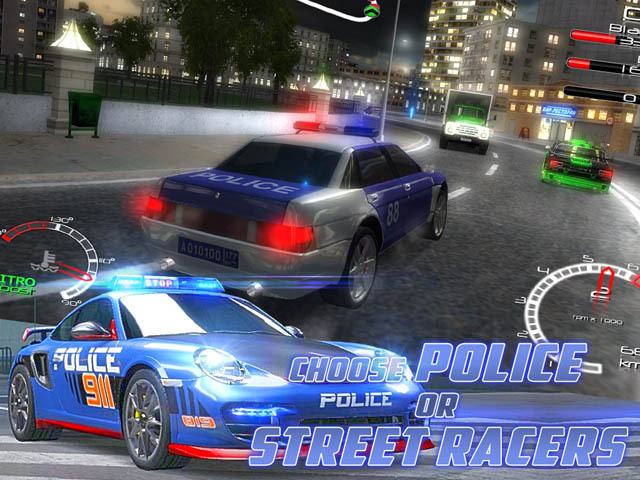 In the night city two rivals are leading a constant battle between themselves - street racers and police. Choose those who fit you more, and start the game! Become a street racer, win all races, earn money, buy new cars. Only a skilled driver can climb up in the league of street racing. Choose a policeman\'s way, drive a patrol car and catch illegal riders, which bring fear to other drivers. Maximize the use of accelerators with nitrous oxide to catch up and overtake your opponents. Life's not always easy when you are a witch, in a world that is still coming to peace with it's past. An uneasy truce is just forming between the magic and non-magic folk after years of war. At the head of the peace efforts is Queen Clarise.